Year after year we have been awarded, in fact 7 years in a row, Best of Weddings on The Knot 2017, Couples' Choice on Wedding Wire 2017 for your corporate and social events with the music YOU want to hear. We are available for a personal consultation with you in order to assist you in selecting music suited to your personal taste and for your specific event, from "A Thousand Years", "Stairway to Heaven" to "Satin Doll" in order to present a truly memorable experience for you and your guests, always working to meet and exceed your expectations. THE ELEGANT HARP provides the PERFECT AMBIANCE for your CORPORATE and SOCIAL EVENTS, without intruding on the conversation. Winning the hearts of her audiences wherever she goes. With years of experience performing for elite guests, it is always in the role of an ambassador, recognizing lifetime customer value, therefore always striving to BUILD BRAND LOYALTY through stellar performance. As an integral part of the whole, Esther works to give the guests an extraordinary experience that exceeds their expectations. Your/our reputation is only as good as the last experience, so we must always endeavor to make it a memory to last a lifetime. Esther enjoys the privilege of being called back for additional engagements by happy, loyal clients. We have performed for literally 1000's of Bridal Events including Wedding Ceremony, Cocktail Hour, Receptions, Engagement Dinner, Bridal Shower, Rehearsal Dinner, After Wedding Brunch. Options include SOLO HARP, CLASSICAL TRIO, STRING QUARTET, JAZZ BAND. Whether a large extravagant wedding or a simple affair; in a cathedral, hotel ballroom, or outdoors, Esther works with you to choose just the right music. For the wedding cocktail hour or reception, she incorporates a mixture of favorite songs spanning three generations in order to make it meaningful to the wide range of ages represented. A Classically trained pianist, she is often asked to perform on the harp for the ceremony and then the piano for the cocktail hour. Destination weddings are very popular in South Florida. Whether you live here or are flying in just in time for the wedding, she will assist you in ensuring the music is exactly what you have always dreamed of. Solo or duo harp, or in combination with other instruments, the music of the harp is sure to help create an unforgettable experience on the wedding day! Harpist Esther Underhay has performed professionally on Harp and Piano on the Concert Stage and for countless Political, Corporate, Charity, and Social Events, including Weddings, in homes of millionaires and billionaires in South Florida, throughout the United States, Canada, Bahamas, and around the world, for over 25 years, including Presidents Bill Clinton, George Bush, and Donald Trump. She has many years' experience as a musician interacting with guests through long-term contracts as harpist at Ritz-Carlton Palm Beach and on Celebrity Cruises. She is equally comfortable interacting with people of all socioeconomic status, including Presidents, Royalty, celebrities, and the very wealthy. AnnaLisa has just returned to the region from harpist performing on Celebrity Cruises, and most recently performing for the elite including international ambassadors, diplomats, heads of state for 7 months at the Taj Mahal Hotel in New Delhi, India, presently performing in concert throughout South Florida and available for your private event as well. 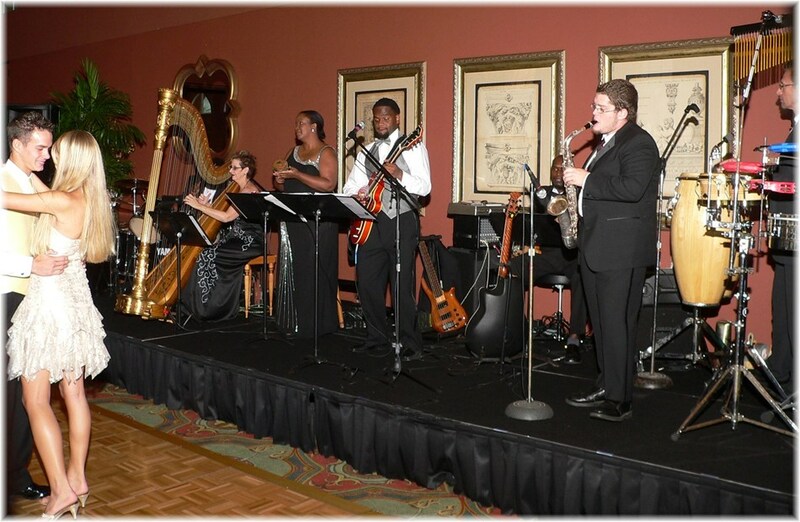 With a degree in Concert Harp and Piano, Esther Underhay brings her prestigious experience playing for Presidents Bush and Clinton to your special event. 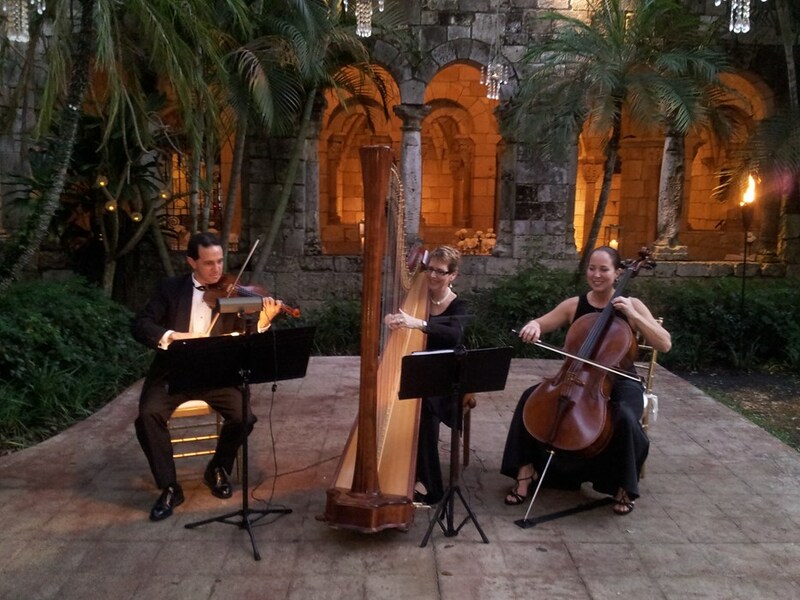 In great demand in Palm Beach, Broward, and Miami-Dade of South Florida & 1000 Islands NY for Solo Harp, Chamber Duo & Trio, & Jazz Band, she creates a very elegant ambiance for your wedding, dinner party, corporate event, or cocktail party. So versatile performing on the full-sized harp, Esther is able to play virtually any song you would like hear, providing a wide spectrum of musical styles. The Ensemble was great - a big hit! Very personal and professional! 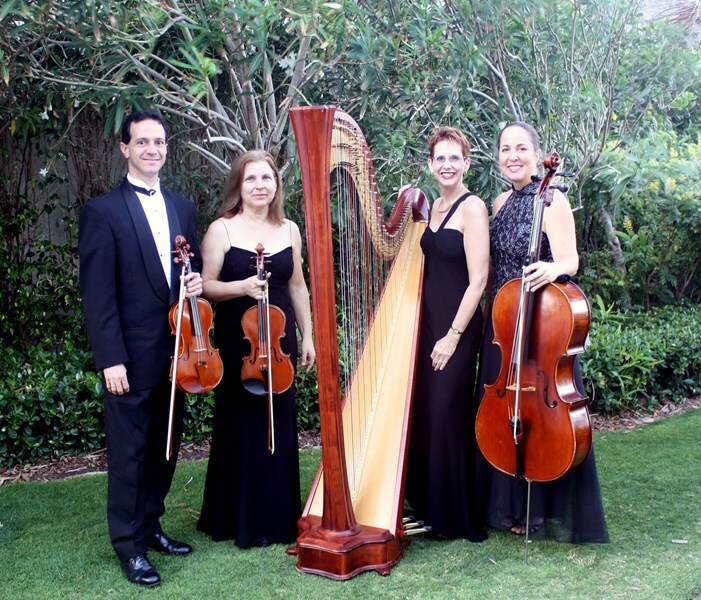 Please note The Elegant Harp: Esther & AnnaLisa Underhay will also travel to Riviera Beach, Lake Park, Palm Beach Gardens, Royal Palm Beach, North Palm Beach, Palm Beach, Lake Worth, Greenacres City, Jupiter, Lantana, Loxahatchee, Boynton Beach, Tequesta, Delray Beach, Hobe Sound, Boca Raton, Stuart, Port Salerno, Deerfield Beach, Pompano Beach, Palm City, Parkland, Canal Point, Bryant, Coral Springs, Lighthouse Point, Pahokee, Belle Glade, Coconut Creek, Jensen Beach.